The national average gasoline price fell 2 cents to $2.89 for the week. The national price level is now 4 cents higher than a month ago and 42 cents higher than a year ago. 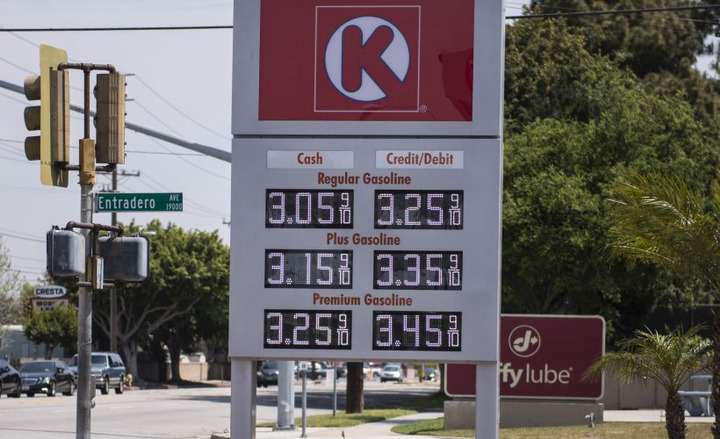 "Gas prices may be signaling that they are taking a turn toward slowly decreasing, which is a welcomed change for motorists who have been paying unseasonably high pump prices to fill-up as of late," said Jeanette Casselano, AAA spokesperson. "Two events last week caused small spikes in retail prices, but those spikes are short-lived." The short-lived spike in the southeastern U.S. was caused by Hurricane Michael, which made landfall on Oct. 12 in Florida and caused retail fuel shortages in its path in that state as well as Alabama, Georgia, North Carolina, and South Carolina. Fuel deliveries were hampered by efforts to clean up roads and restore power. In addition, last week, a natural gas pipeline rupture in the Western Canadian province of British Columbia forced three Pacific Northwest Puget Sound refineries to shut production units. Those refineries are beginning to resume normal operations, but several states saw spikes in gas prices that will likely last into the week. States with the least expensive fuel include Mississippi ($2.61), South Carolina ($2.61), Alabama ($2.62), Missouri ($2.65), Arkansas ($2.65), Louisiana ($2.65), Texas ($2.65), Delaware ($2.66), Virginia ($2.67), and Tennessee ($2.68). States with the largest weekly changes include Ohio (down 14 cents), Michigan (down 12 cents), Indiana (down 10 cents), Washington (up 9 cents), Oregon (up 9 cents), Illinois (down 8 cents), Kentucky (down 7 cents), Delaware (down 5 cents), Wisconsin (down 5 cents) and Oklahoma (down 4 cents). Meanwhile, the average price of a gallon of diesel increased nine-tenths of a cent to $3.394, which is 60.7 cents higher than a year ago, according to the U.S. Energy Information Administration.